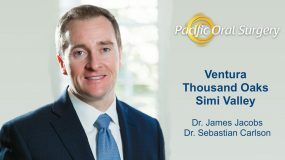 TMJ jaw pain causes and treatment are discussed by TMJ specialist Dr. James Jacobs of Pacific Oral Surgery. If you have a TMJ disorder such as persistent jaw pain or tenderness and/or can’t open and close your jaw completely, it is important that you seek medical attention from a TMJ specialist to prevent further damage to your temporomandibular joint. 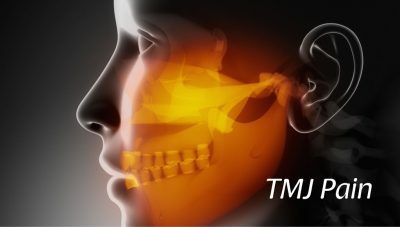 The causes of temporomandibular joint (TMJ) disorders are not always known due to their often complex nature, however, many variables can directly and indirectly contribute to jaw pain and the development of temporomandibular joint disorders (TMJ, TMD). In most cases, TMJ disorders are related to stress, traumatic injury, or damage to the jaw joint which hinders the jaw structures from functioning smoothly and pain-free. TMJ disorders can result from activities or conditions that damage the jaw joint over time, acute injuries that happen suddenly, or a congenital defect (present at birth). TMJ Jaw Pain can be caused by a single condition or incident or a combination of factors that together cause damage to the jaw joint and subsequent pain. These TMJ conditions can be present simultaneously, causing multiple symptoms and contributing to its complexity. Injury or trauma to the temporomandibular joint, jaw, or head/neck muscles can often be a more straightforward means of diagnosing a TMJ disorder, especially if symptoms present shortly after a traumatic event. A TMJ disorder article in the Journal of American Dental Association found that most TMJ disorders are caused by an unexpected injury. If you are involved in an accident or incur a blow to the head or jaw and experience TMJ disorder symptoms, contact your doctor for an evaluation. Symptoms of and treatment for a TMJ disorder caused by traumatic injury can vary widely depending on the type and severity of injury. Stress that involves clenching of the jaw can lead to temporomandibular tension. Continual tightening of the muscles surrounding the jaw can result in inflammation of the joint membranes, as well as myofascial pain. Even performing strenuous tasks, such as heavy lifting, can aggravate or contribute to a TMJ disorder if the jaw muscles are overworked due to being clenched repeatedly. Misaligned or missing teeth can cause upper and lower teeth to come together in such a way that the temporomandibular joint is affected. When the teeth do not line up properly, normal jaw motions can create stress on the muscles, nerves, and tendons that surround the joints of the jaw. 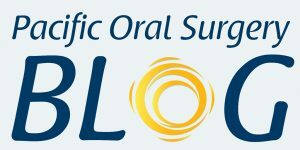 Misaligned or missing teeth can affect jaw placement thus disrupting the relationship between the bite and the jaw muscles. In addition, the extra pressure placed on the teeth and jaw can result in a build-up of bony projections or cause a dissolving of the bone. 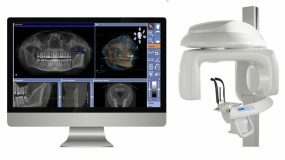 Orthodontic treatment can alleviate symptoms in most cases, unless permanent damage to the jaw joint has occurred. The temporomandibular joint is a ball-and-socket joint and as such, can become displaced or dislocated. The ball (condyle) of the TMJ normally moves forward when the mouth is opened and slides back into place upon closing the mouth. If the condyle of the TMJ moves too far forward, it can become stuck, especially if the ligaments surrounding the jaw joint are loose or stretched. Jaw muscles can spasm and keep the condyle in the displaced position. Dislocated temporomandibular joints often produce a cracking or popping noise when opening or closing the jaw, and can affect movement and strain the muscles surrounding the jaw, neck, and face. In some cases, the jaw can become locked in place, preventing the mouth from closing. If loose ligaments are a factor, the jaw joint dislocation can recur periodically. Occasionally, especially if dislocation is recurrent, surgical intervention is required. Some temporomandibular disorders are caused by medical conditions or bone deformities which may be present at birth or diseases that develop or progress over time (such as oral cancer). TMJ disorders can result as a complication of a specific condition, such as Parkinson’s Disease or Huntington Disease. Treatment of TMJ disorders involving disease will depend on the type of symptoms that present and the severity of the disease or condition contributing the TMJ pain. Bone deformity can typically be corrected with orthognathic surgery. 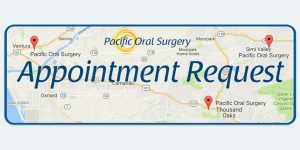 At Pacific Oral Surgery, our Oral and Maxillofacial surgeons treat all manners of TMJ disorders to alleviate jaw pain and restore jaw functionality. If you are experiencing symptoms of TMJ jaw pain, please contact our office for an evaluation.